Attach lower griddle plate. Preheat Grill & Broil on LOW Broil. In large bowl, combine browned turkey, taco seasoning, salsa and ¼ cup shredded cheese. Cut wonton wrappers in half lengthwise and then crosswise to create four squares. 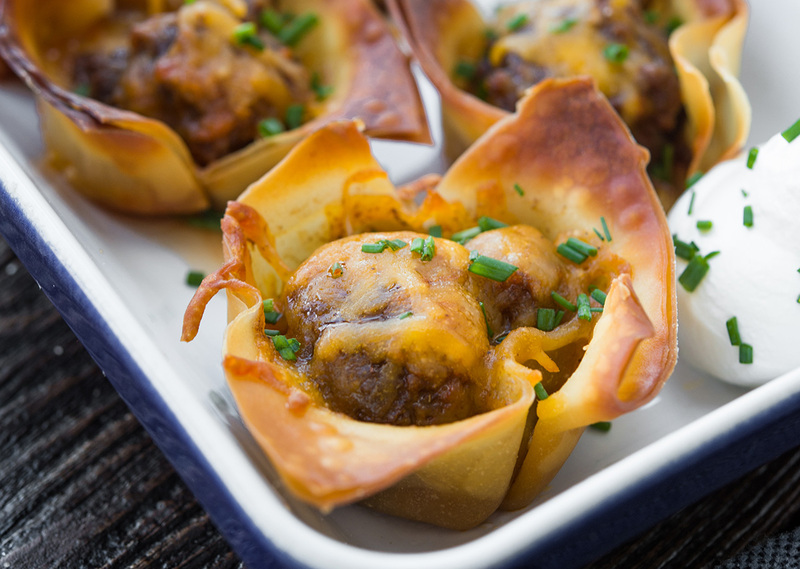 Place wonton square into each muffin cup. 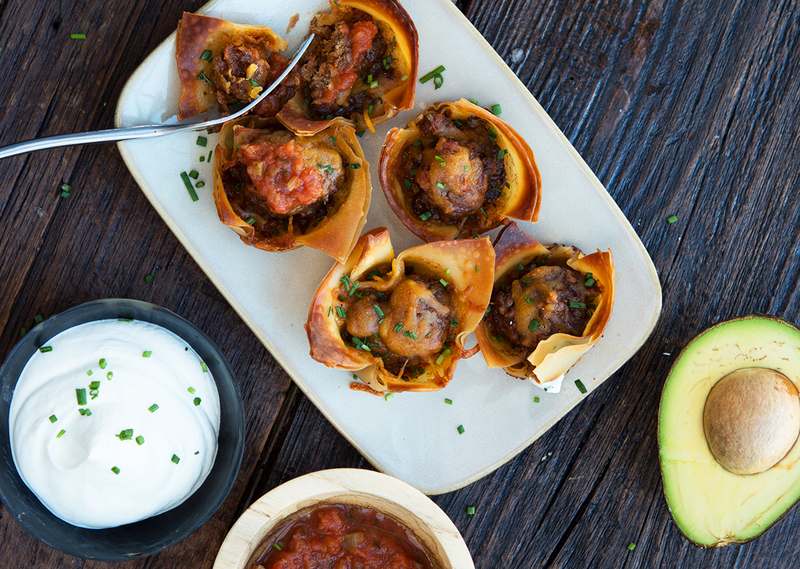 Evenly distribute taco mix into each cup and top all with remaining ¼ cup cheese. Place muffin pan into preheated griddle plate. Cook on LOW Broil for 15 to 18 minutes until wrappers are browned and cheese is melted. Repeat with remaining wrappers and taco mixture. Tip: Serve hot with sour cream and guacamole, if desired. *Note: lean ground beef can be substituted for ground turkey.